Strong impulse follows the Dekalog television drama series of the famous Polish director Kieślowski. Series of films whose stories draw from the city of Warsaw. All scenarios are entangled in a suburb, recognizable for the period then. The second and third film in particular are rich in darkness and silence, which he sophistically and strictly dissolves through the neighborhly sound in the background and street lights that stain the beautiful shots of rainy windows using the colors of advertising neon lights, traffic lights, car headlights and other urban decor. Shot in the late 80s, at a crucial period for the history of the city and the nation in general. Today, in a similar night, in the transition between fiction and reality, this urbanity appears, observed in the movement of red-yellow public transport (with drivers’ music in the background), creeping along the long axes of the remaining socialist space. Many elements lack for merging this onetime effect of social-realism, but here we are about to capture it through its present, which is in full swing and transformation. The urban night lighting is still pale, while in the background you can oversee the massive repeating blocks. The space inbetween is still clean and free, sprouted forth with foliage. The day, on the other hand, is showing us the new Warsaw with the lukewarm sun that breaks the urban dullness and gives golden color, which reflexes against the new crystal facades. 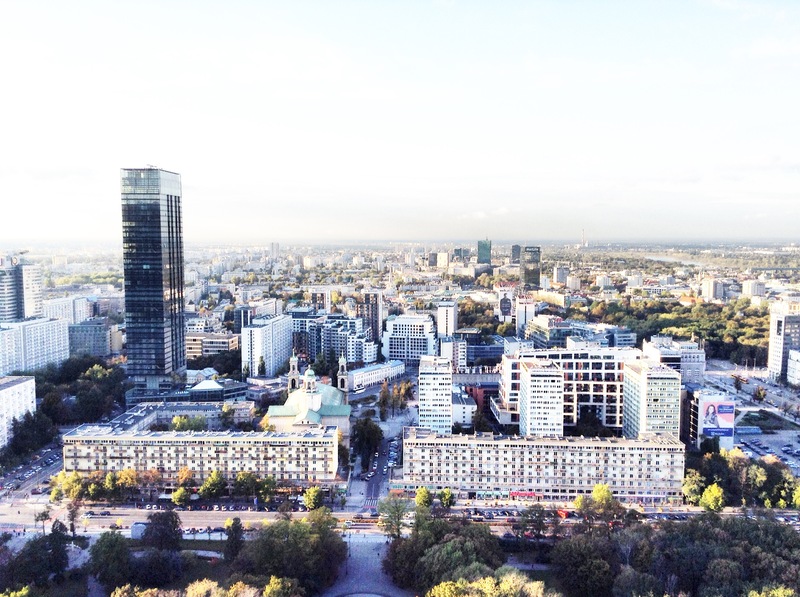 Up till recently, by default, Warsaw itself represented a noun – pattern of a Soviet model city. Today this idea apparently stepped into the symbiosis from social-realism to neo- liberalism. The gulch in the central area is already a financial center in the style of the furious capitalism jammed into a rigid socialist urban grid. And it is impressive, especially if the dominant view spreads right from the terrace of the most contradictory construction (Museum of Science and Techniques) of the Stalinist period, a view to a new capitalist guise of viewpoint so desired by communist regime and as such built only for supremacy and propaganda. Remnants of the Soviet era are still visibly present in other settlements around the city. If you take the route from south in the district Mokotów, you can see this massive complex of high density which the system then applied through the narrow and long blocks, crossed horizontally and vertically. The same happens towards north at that side of the Wisla River, around part of the district Prague which exists since then and is further-socialized with breaking in/curbing. Set like that, the city is completed with rough infrastructure and with the spatial distances it is filled in all up to the historic center where the compressed, bit old-fashioned architecture prevails, whose significant core is protected. 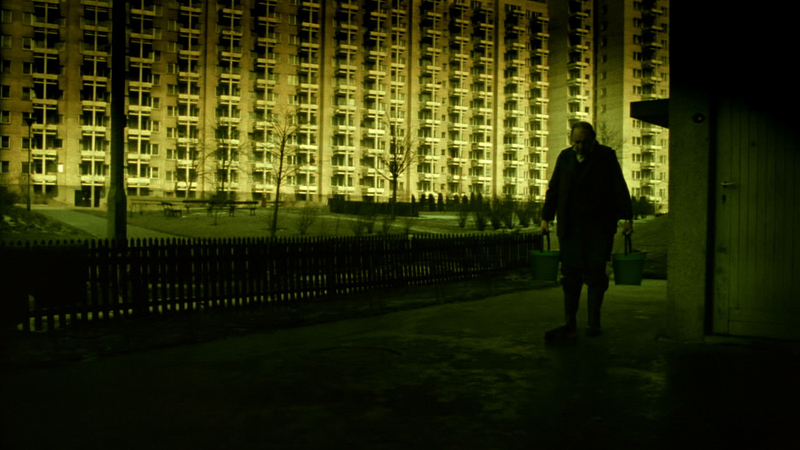 The old center still exists and toughly endures in the sub-context of yellow background as in the fifth part of the Dekalog. Specific architects dating back to the post-war period are the inevitable Warsaw Tigers (named after their aggressive productivity), although their simple and aesthetic expression was suffocated by the former state regime doctrine, through the decoration and Stalinist stylization. The railway station, the Parliament, the PKO building, the University of Social Sciences… all leave some quality trace of the past relics. Poland has always looked up at the Western civilization although it was constantly under different influences. Exactly that is displayed through the advertising neon lighting of the 50s, a caprice used by the Western capitals and inadequate for the then rigid system. The neon is in contrast to the dogma and breaks down the trampled on and wanted freedom of the required color of the languor back then. 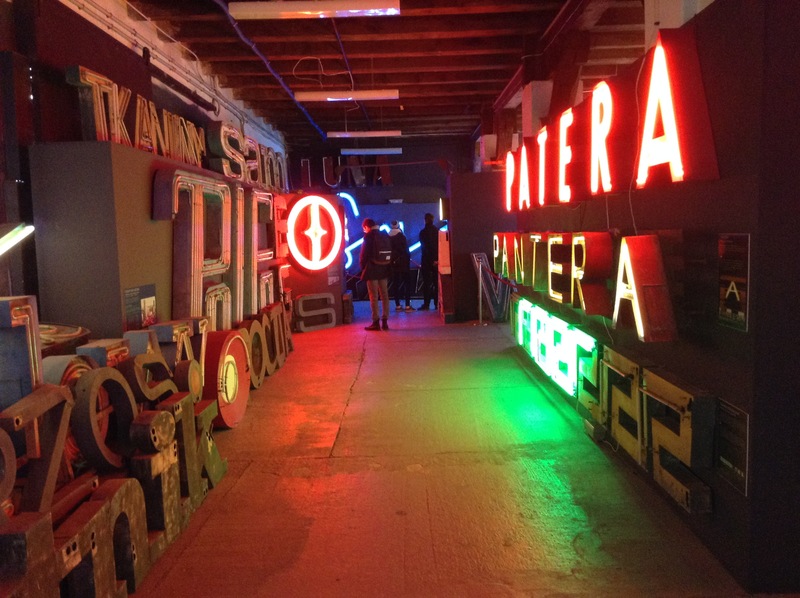 The creations of the best architects and graphic artists come from this era of neonization, when they were engaged to design neon signs/displays embedded in the buildings or streets themselves (today they no longer exist and can be found in the Neon Museum). 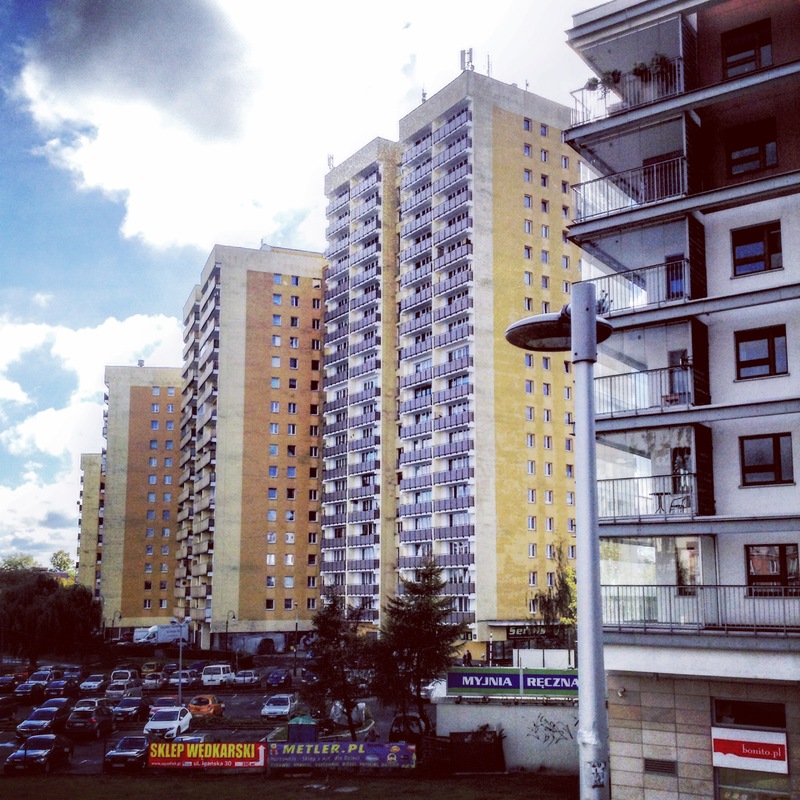 With yet another change of the political context, Poland looked at the uncharacteristic for it post-modernism, creating parts of the city that do not differ much from many other world cities. Most consistent representative of late modernism, which is also imported, is the University Library, built in 1993 by the architects Budzinski and Badovski, with typical narrative of postmodern elements using high technology and large botanical garden on the rooftop, spreading from there as a landmark all along to the level of the existing urban park. Characteristic for their transition is that the state funding of social needs through residential buildings, education, health and employment back then changed through the urban expansion that feeds/fattens only on private companies and investors. Bank interest rates still being quite high, increase the effect that is visible around. Due to the innocent market back then in the 80s and its potential development, Poland, and above all Warsaw, has avoided the worst effects of the global recession. The develloping market success manages to raise the standards of many foreign and domestic companies for an attractive and quality architecture. This was a competition, and therefore some of the world famous names of the architecture, such as Libedskin, Foster, Bofill, are starting to work in the city. 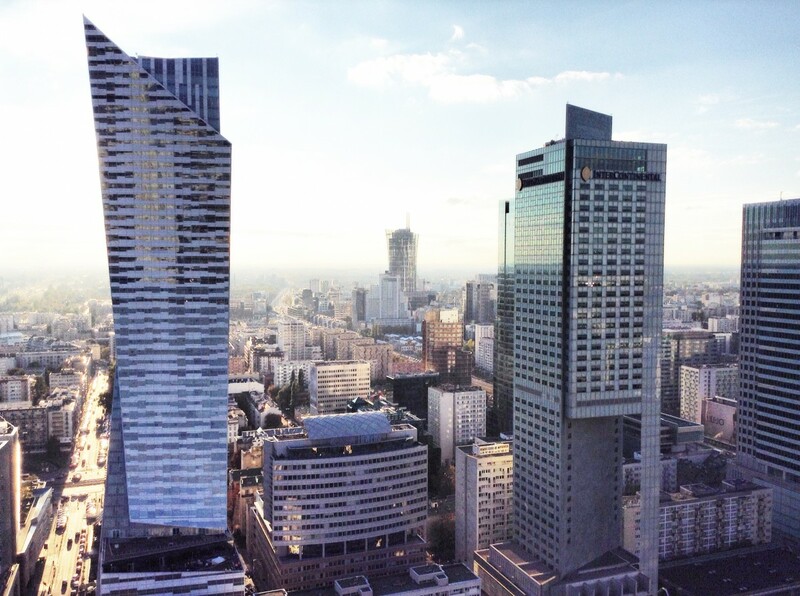 The chronic shortage of office space additionally makes Warsaw one of the most expensive cities for leasing worldwide. This lack is subject to building speculation, the profit of which is maximized by the investors through renting of the commercial space. 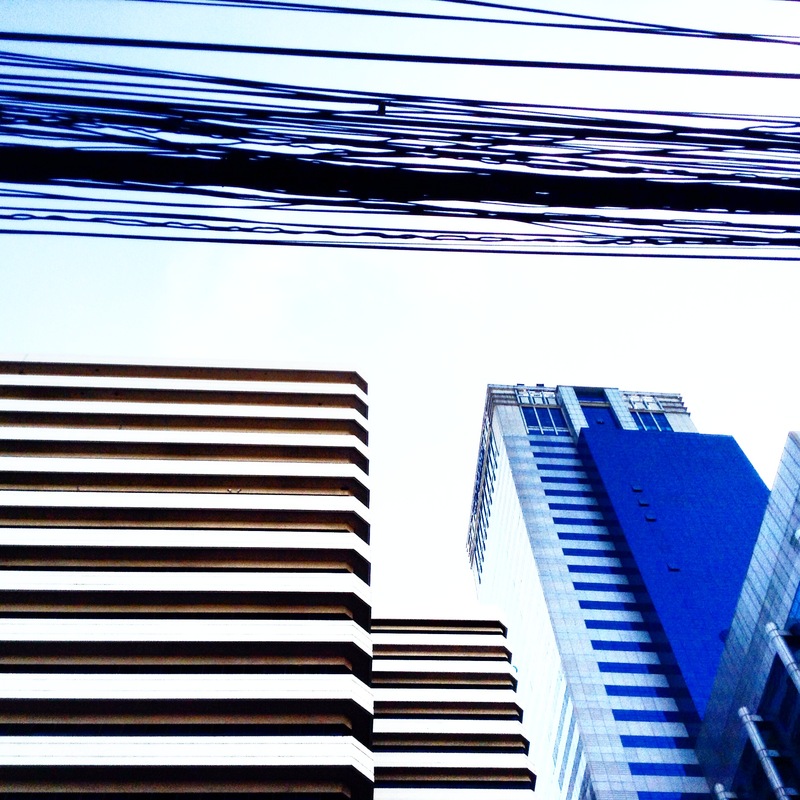 This results in a high concentration of business centers and skyscrapers beyond the real size and the surrounding context, cheaply built and with questionable facades. The city continues to evolve in an already traced direction. Surely, the land organization will play a key role, offering a new mix of subordination that should in the near future, hopefully, give original and special effects. The empty interspace land is only a welcome intermediary of the previous system, which thanks to its spreading, manages to spontaneously control the newly created mass that tends to usurp the required public space (being there in abundance). I still remember the tedious work breaks during the day, debating with a colleague from Wrocław while sipping our morning coffee. She was surprising me with her attitude for a better Poland. We were regularly coaxing when and for whom it was better? Of course, their presence offers far more than our obsession with the successful Yugoslav socialism then. And so forth and back we were getting lost in unnecessary intervals that had their impact on our geographical traditions.